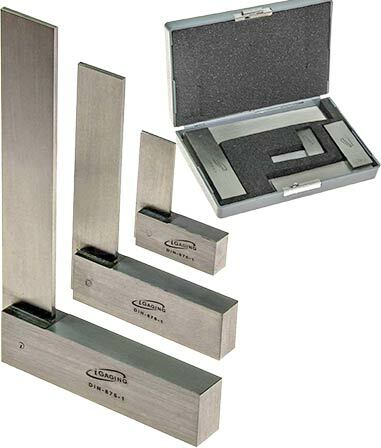 These all steel, precision squares are accurate to within 0.001" and come in 2", 4" and 6" lengths. All surfaces and edges are ground for straightness and parallelism so the squares are accurate on both inside and outside edges. There are no graduations on the blades. Comes in a storage case.